Rainbow sherbet has been a favorite summer treat of mine for as long as I can remember. Even as a child I loved the cool, refreshing taste and as an adult, it brings back a lot of memories! It's no surprise then, that I got especially excited when I discovered Fizz and Bubble's Rainbow Sherbet line. They have a whole assortment of goodies with this irresistible scent! My favorite is the Bubble Bath + Body Wash. When I think about skincare products that smell like my favorite desserts, I honestly don't think of the best ingredients. Fizz and Bubble actually uses quality, organic ingredients so I can enjoy the scrumptious smell and feel good about what I'm putting on my skin. Key ingredients include organic aloe, vegetable glycerin, and pro-vitamin B5. The formula is free of parabens, cruelty free and eco-friendly. Fizz and Bubble's Rainbow Sherbet scent can be enjoyed in other formulas for the bath - bath fizzies and bath salts. There are even gift sets and bath fizzies shaped like cupcakes to make the gift giving even sweeter. 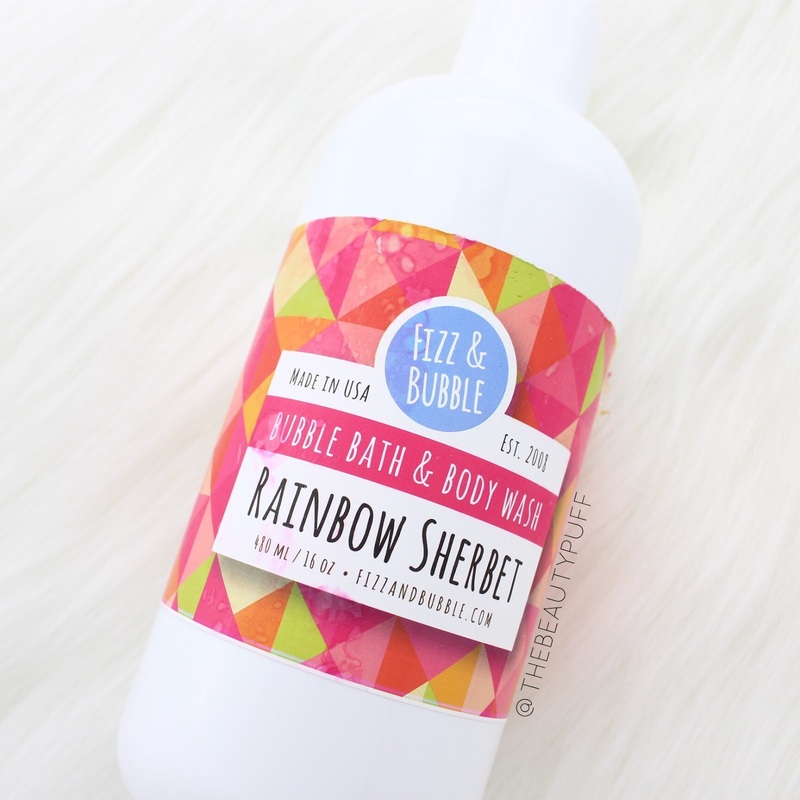 Rainbow Sherbet is just one of the yummy scents these products come in too. There's also Birthday Cake, Buttercream, Creme Brulee, and Coconut Cream just to name a few! You can find Fizz and Bubble products on their website, fizzandbubble.com, as well as Ulta's website below.